I was asked to give the newest zero-calorie sweeteners a try and now I’m a huge fan! Skinnygirl Sweeteners are derived from 3 different plant source…agave, stevia and monk fruit. These sweeteners just became available at my local Target (my most favorite place to shop). I’ve got a recipe for you and pretty sweet giveaway too. This is a tasty and convenient product, friends. Thanks to Skinnygirl Sweeteners, you can always have a zero-calorie sweetener with you wherever you go! Skinnygirl Agave…agave is a simple food that comes from the agave plant. This is a favorite of Bethenny Frankel, founder of Skinnygirl. Skinnygirl Monk Fruit…monk fruit comes from Southern Asia. The zero-calorie extract is drawn from the fruit and has a sweet, fruity taste. 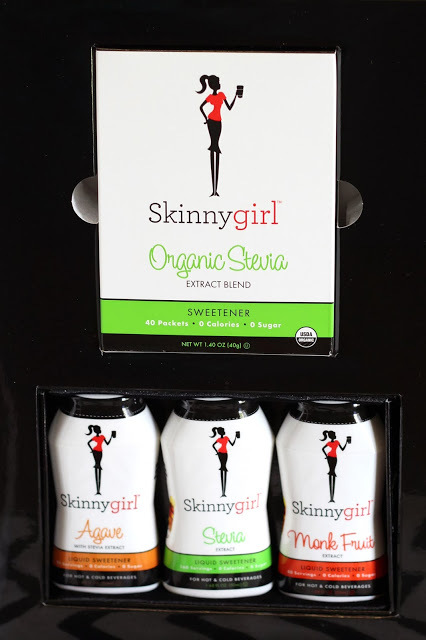 Skinnygirl Stevia…stevia is a sweetener we are all familiar with. A very popular natural sweetener. Skinnygirl offers stevia in a liquid, as well as individual organic powdered packets. The little Skinnygirl liquid sweeteners are so adorable! They are super concentrated liquid formulas that are great for coffee, tea and even some of your favorite recipes. They are perfect for taking with you in your purse or when you travel. One squeeze is as sweet as one teaspoon of sugar. 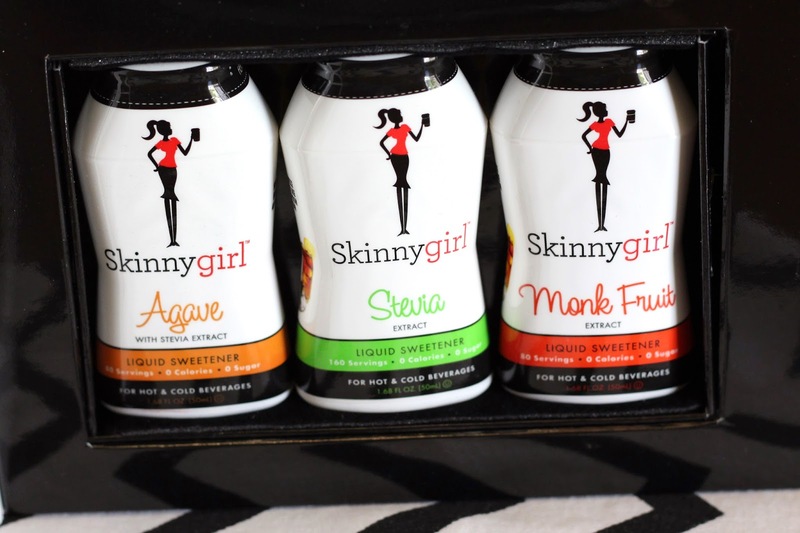 A little Skinnygirl sweetness goes a long way! 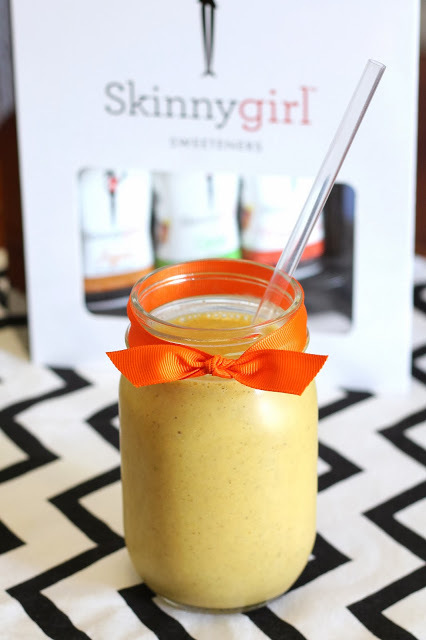 I wanted to use the Skinnygirl Sweeteners in a simple recipe that I already love, making it sugar free. This dairy free pumpkin breakfast smoothie is my new favorite these days, with pumpkin puree, gluten free oats, cinnamon and chia seeds. It can also be made the day before, placed in the refrigerator and enjoyed in the morning. 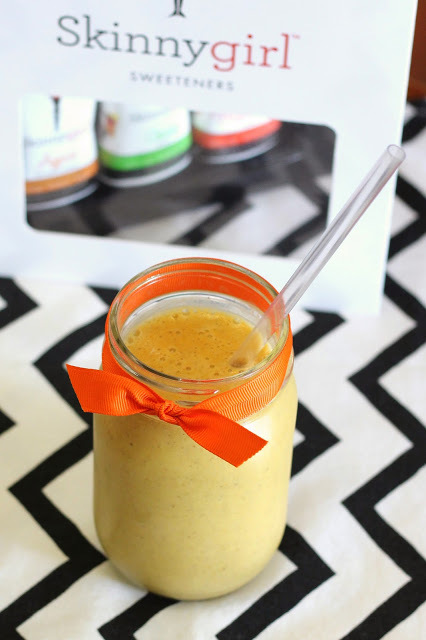 The oats and chia seeds will thicken this pumpkin smoothie too. Fall flavors in a smoothie. This is my kind of smoothie! Add all ingredients to high-powered blender. Blend on high until smooth and blended well, 1-2 minutes. Make sure the oats are finely grounds. Serve or chill in refrigerator to enjoy later. Skinnygirl has sent me 3 FREE Skinnygirl Sweeteners coupons to giveaway to one lucky winner! 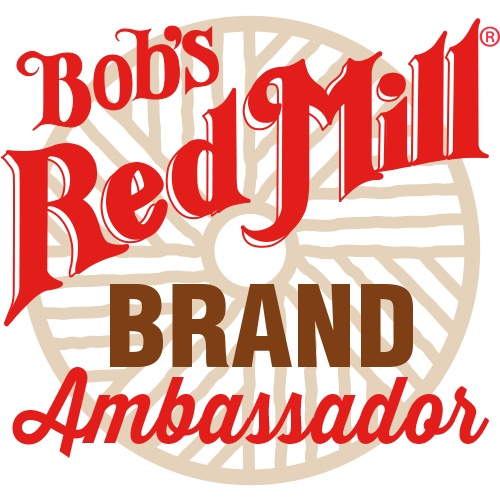 The coupons can be used at your local Target, Walmart, and select grocery stores, where the sweeteners are now available. To enter, sign-in below and leave a comment as well. Be sure to tell me “what is your favorite breakfast smoothie?” in your comment. You can receive extra entries by liking Skinnygirl Sweeteners on facebook, tweeting the giveaway or sharing on instagram. This giveaway ends on Sunday, October 20 at midnight. One winner will be chosen. I just saw these at Shoprite! I fear at how fast I would go through one of those, though the monk fruit sweetener would go really well with my favorite peanut butter and jelly smoothie. I put oats and chia into it, too! My favorite smoothie is a couple handfuls of greens, 1/2 frozen banana, 1 scoop vegan protein powder, some almond milk, some chia seeds, some ice cubes, and depending on the protein powder, I might add a tbsp of cocoa too. I used to LOVE a banana with PB one – and maybe cocoa :). I love a chocolate banana smoothie, yum! i love a spinach and pineapple with frozen grapes, an apple, all blended together! Coconut milk, protein powder, beets, blueberries, and chia seeds. Delicious! Love pumpkin smoothies. Thanks for sharing this one! I'm not a big smoothie girl (although this one looks really fantastic… so maybe that will change!) I do love blending my oatmeal so it's like pudding, though. Thanks for this wonderful giveaway! I actually make a smoothie every morning during spring/summer/fall. Spinach, kale, banana, frozen tropical fruit, OJ, flexseed meal, and a couple other things to help with my lack of gluten/need for energy. Blueberries and coconut milk with some raw honey! I love making smoothies with coconut milk, spinach/kale, mixed in with free berries, mango, heck even watermelon adds a nice flavor! Hard one but either a green Vega One Protein Shake or something with chocolate and peanut butter!